Are the techniques of postmodernism in literature truly revolutionary? Or just another subtle mode of social control? Putting things in historical context is always a useful place to start with such questions. Tom Wayman introduces his essay “Avant-garde or Lost Platoon: Postmodernism as Social Control” with an historical overview of the situation on university campuses in the tumultuous decade leading up to 1970. He imagines it from the perspective of a worried professor. This period of social unrest over a broad array of issues—civil rights for blacks, opposition to the Vietnam war, student occupations of university campuses both in the US and abroad—prompts Wayman’s hypothetical professor to ponder the ways harmony might be restored to the academic sphere. A new set of alternative ideas must be coalesced into an intellectually appealing format that pacifies the situation. The result of such radical reframing of language as the primary tool of communication in literature results, Wayman asserts, in “a distrust of language itself,” making “activist students … less eager to articulate their beliefs to peers or the wider population… (and) latent anti-authoritarianism can be evoked by claiming that grammar—which it is possible to portray as an array of rules undemocratically imposed on people by their language—is intrinsically oppressive.” Ironically, this relies on the aforementioned disparagement of scientific method and precedent. It removes from the field of view such relevant studies as philology, developmental psychology, cognition studies and neurobiology, which have effectively refuted the concept that basic linguistic capacities such as grammar are random or arbitrary. John Ralston Saul wrote about “professional obscurantism” in literature 23 years ago in ‘Voltaire’s Bastards’, a must-read book for anyone who considers themselves educated. Postmodernism’s use of language as “professional obscurantism,” to quote Saul, thus manages to have it both ways—claiming its techniques are ‘revolutionary,’ while at the same time voiding it as an instrument of social change. “(It) is hard to think of an era when…language has been so powerless to communicate to the citizens the essence of what is happening around us and to us,” Saul writes. Wayman quotes “former postmodernist antiscience crusader” Bruno Latour: “…entire Ph.D programs are still running to make sure that good American kids are learning the hard way that facts are made up, that there is no such thing as natural, unmediated, unbiased access to truth, that we are always prisoners of language… while dangerous extremists are using the very same argument of social construction to destroy hard-won evidence that could save our lives” (referring to climate science). John Ralston Saul, Voltaire’s Bastards, Penguin Books, Toronto, 1992, p. 538. Tom Wayman, “Avant-garde or Lost Platoon: Postmodernism as Social Control,” Canadian Poetry, No. 76, spring/summer 2015, p. 14. Tom Wayman, “Avant-garde or Lost Platoon: Postmodernism as Social Control,” ibid., p. 14. Tom Wayman, “Avant-garde or Lost Platoon: Postmodernism as Social Control,” ibid., p. 15. Tom Wayman, “Avant-garde or Lost Platoon: Postmodernism as Social Control,” ibid., p. 16. John Ralston Saul, Voltaire’s Bastards, Penguin Books, Toronto, 1992, p. 540. Tom Wayman, “Avant-garde or Lost Platoon: Postmodernism as Social Control,” ibid., p. 17. Tom Wayman, “Avant-garde or Lost Platoon: Postmodernism as Social Control,” ibid., p. 29. Tom Wayman, “Avant-garde or Lost Platoon: Postmodernism as Social Control,” ibid., pp. 33, 34. Tom Wayman, “Avant-garde or Lost Platoon: Postmodernism as Social Control,” ibid., p. 42. Tom Wayman, “Avant-garde or Lost Platoon: Postmodernism as Social Control,” ibid., pp. 43, 45. Tom Wayman, “Avant-garde or Lost Platoon: Postmodernism as Social Control,” ibid., p. 35. Tom Wayman, “Avant-garde or Lost Platoon: Postmodernism as Social Control,” ibid., p. 52. Tom Wayman, “Avant-garde or Lost Platoon: Postmodernism as Social Control,” ibid., pp. 52, 53. D.M.R. Bentley, “’Along the Line of Smoky Hills’: Further Steps Toward an Ecological Poetics,” Greening the Maple, Ed. Ella Soper and Nicholas Bradley, U of Calgary, 2013, pp. 85-107. 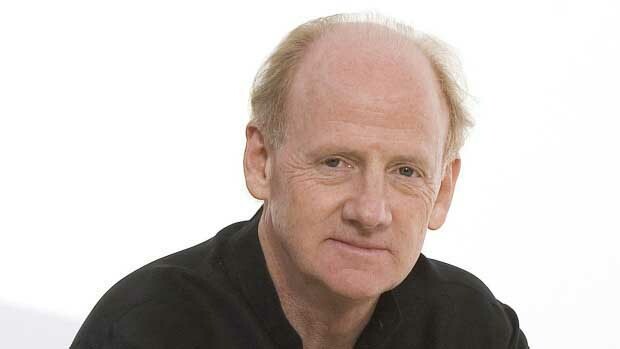 This entry was posted in Activism, Civilization, Poetry, Political Commentary, Writing and tagged activism, civilization, John Ralston Saul, poetry, postmodernism, social commentary, social control, Tom Wayman, writing. Bookmark the permalink. 16 Responses to Postmodernism? Or Social Control? I honestly thought that the term ‘hard-wired’, in terms of how the mind works, had been abandoned latterly. This is an interesting essay. I don’t buy it all, but I intend to pass it on. Marie, good to hear from you. I would however challenge your statement that “no work of art fails to communicate.” At an exhibition a couple years ago I watched a film collage purportedly about Chinese Canadian culture in the context of Vancouver and British Columbia history. It was truly postmodernist: the film clips seemed chosen at random, with no narrative thread to link them, no real context even, since the historical film clips chosen could have been taken from virtually any community during the past century in B.C. The film played on a continuous loop, the same disjointed images cycling round and round. No matter how many times I watched it, nothing registered. Now, I don’t consider myself to be particularly obtuse even without a degree in semiotics. So in this case as just one example, I would argue that nothing was communicated. I went away feeling empty and frustrated that the artists seemed to treat my need for understanding with such contempt. In fact, one postmodernist visual artist in an earlier discussion I had on this topic actually said, essentially: “Communication is irrelevant and calls for art to communicate are arrogant.” Sorry, but I can’t buy that line, either. It also happens to fit nicely with the Right wing agenda to neuter art of any political content; just a nice, non-messaging piece of stuff to hang on a wall. And I would argue just as vehemently that, no matter how much you protest that you got nothing out of it, by virtue of being human with a human perception you automatically interpreted what you saw. Therefore you gave it meaning. Your later decision that it was meaningless was a rationalisation, based on your confirmation bias. This is the confirmation bias of the artist concerned, and he/she is spitting to windward. ‘Postmodernist’ should not to be used as a word of denunciation, like the right wing use ‘communist’. Hello. My name is Paul Thompson. I’m a ‘mature student’ in the UK, about to graduate with a BA Hons in English Literature, and about to start a Masters in Literature and Modernity at Edinburgh University. I don’t hold any of that up as a great badge of qualification, but it is part of my background and has given me the recent opportunity to become more than just a reader (as I have been since my teens) of literature in English. During my undergraduate period I have been able to look critically at writing from ‘early modern’ (Renaissance) up until the 21c, including several modules that emphasised 20c literature and covered ‘modernism’ and ‘postmodernism’; as well as looking critically, I have been encouraged to see things in their cultural and historical context. I put quotes around ‘modernism’ and ‘postmodernism’ there, because I consider that there are often difficulties in definition. My studies have also included a component of linguistics, and have needed a basic understanding of semiotics. One thing was very clear to me during all this, which was that I was not steered towards accepting one particular school of criticism. I was shown that these schools were, in themselves, cultural and ideological products, and that whilst it is not possible to derive something syncretic from them, each had something to offer in the way of valuable argument and insight. At the end of the day, I guess I became a flexible kind of ‘New Historicist’. Far from feeling that I had been placed in a situation where definite and definitive answers could be given, or even attempted, I found myself free to take a thesis, examine it, assemble evidence, and present it. If I could make a case, then I made a case, and my tutors accepted it, even if I had made it using the criteria of a critical school to which they themselves did not belong. At no time did I feel that I was being pushed towards any neo-conservative, anti-radical position. In fact one tutor I came into contact with could fairly be called Marxist/feminist, and many of the critical texts I researched were from the Left. Perhaps, if the thesis of your article above is correct, I have been gulled by a subtle, almost subliminal anti-radical programme, but I would honestly doubt it. I’m a child of the 1960s, by which I mean that was when I started my political education – reading ‘The Grapes of Wrath’ and ‘Homage to Catalonia’, watching the Paris ‘happenings’ of 1968, hearing the rhetoric of Dr Martin Luther King and Malcolm X, seeing the ‘Prague Spring’ of Alexander Dubček. In the 70s and 80s I watched the conservative retrenchment of the Reagan/Thatcher era, and the suppression of working class movements in the UK, with horror; I have seen them come to their logical extreme in the post-soviet era and the early 21c, in the world-wide hegemony of corporate capitalism. I have listened to pro- and anti-environmentalist arguments, and considered that whilst the former might have a stake in academic respectability, the latter is where the big money is and is therefore more suspect. All this has been altered not one jot by my study of literature. I have received consistently good marks for my essays. I’m not bragging, but I wanted to say that before coming on to something that my tutors have complained about in my work, which is that although I do develop my own ideas and arguments, I tend to rely too heavily on critical sources to back them up. Which brings me on to your article. You have a point to make, but as I read through the article it seemed to me that you were relying too heavily on simply quoting Saul and Wayman, as if to say ‘magister ipse dixit’, presenting them as unassailable authorities on the matter rather than people who, no doubt clever though they are, are themselves open to criticism. I’m sure they know only too well what ‘peer review’ means! One important thing that strikes me about ‘postmodernism’ as a movement in literature is that it is difficult to pin down. On the other hand, manifestos – from Marx and Engels, to Vorticism, to Virginia Woolf’s ‘A Room Of One’s Own’, and beyond – seemed to epitomise modernism. Therefore that there is such a thing as ‘postmodernism’ is a problematical argument anyway. Other than it is something that vaguely happened after modernism, after modernism had run out of steam, after influential writers had stopped the experiment that modernism was (after Joyce and Woolf, one almost argues, what was there left to say? ), and therefore whatever happened next had to be post- it, postmodernism is indefinable. Positing that the movement itself is some kind of neo-conservative backlash is difficult to square with, for example, the inclusion of Kurt Vonnegut in the bracket. ‘Slaughterhouse-Five’ is hardly a conservative novel. Nor is it consciously a novel that belongs to a particular school of writing. If anything it is a product of the GI Bill, which is possibly one of America’s socialist achievements, inasmuch as it allowed servicemen returning from WW2 the opportunity to have higher education regardless of their background. ‘Slaughterhouse-Five’ is the product of the author’s individual genius (pace Roland Barthes – I know what he would have argued!) and remains the foremost account of the bombing of Dresden in fiction. In an important sense, bracketing literature into these categories can be unhelpful. It tells us “Such-and-such a work is going to speak to you, so-and-so isn’t.” In fact all works of literature speak to us. Leaving aside Shakespeare, during the past six years I have been in the audience for Chekhov’s ‘The Cherry Orchard’, Rattigan’s ‘The Browning Version’, Beckett’s ‘Waiting for Godot’, Osborne’s ‘Look Back in Anger’, and Bennett’s ‘The History Boys’, amongst many others. Those plays are very different from each other. ‘Waiting for Godot’ is arguably ‘theatre of the absurd’ and therefore can be plonked down in the postmodernist camp. I have actually studied how Beckett pared away ‘meaning’ in staging after staging, starting with the French original and ending at the most recent English version. ‘Look Back in Anger’ has always struck me as being a rediscovery of the naturalism of Emile Zola. But the main point is that each of these plays had something to say to me. Each one put me in the position of having to interpret what I was seeing, to imbue it with meaning. Not even the most apparently obscure play failed in this. Every one enriched me. None of them took anything away from me. The experience of being in the audience and/or, where appropriate, studying them did not cause me to alter my viewpoint on any matter. What they certainly did, if they did not alter the point from which I viewed, was add to the sum of what could be seen from that point. And that is how I regard the product of my latter education. You make the point that dissent is ‘squelched’. Well, yes it is, and it has been very forcibly since the conservative retrenchment of the 1970s in America. But my point is that the study of literature is not the front line in that campaign. If it is anywhere at all in the struggle then it is only so because the campaign is a general one. I would put at the forefront of that campaign the manipulation of news agendas, news media, and popular entertainment. Noam Chomsky and Edward S Herman covered how ‘news’ is manipulated in their excellent book ‘Manufacturing Consent’. Manipulation of popular entertainment is most evident in film and TV. ‘The Green Berets’ came out in 1968, and notwithstanding movies like ‘Apocalypse Now’ (based on Conrad’s ‘Heart of Darkness’) and ‘Full Metal Jacket’ post-date it, it set the tone for patriotism and American-exceptionalism of many movies and TV dramas to come. Post-Vietnam, the USA had to ‘believe in itself’ as the champion of freedom, not as the aggressor who lost a war – arguably this is why the USA went into Iraq – and popular entertainment had to reflect that. Hence law enforcement heroes and heroines became the norm – ‘CSI’, ‘NCIS’, and so on – not always clean-cut, not always square jawed, not always playing strictly by the rules, but in the end the stars-and-stripes was always flying in the background. Abraham Lincoln once famously said “You can fool all the people some of the time, and some of the people all the time, but you cannot fool all the people all the time.” What he neglected to mention was that you can fool enough of the people enough of the time, and that’s all that had to be done to drive liberal agendas to the periphery, post-Vietnam. I mention these – the manipulation of the media and the absorption of dissent – because they are much more influential than the minor academic discourse which is the subject of your article above. I sincerely believe that although you, Saul, and Wayman have a cogent argument to make, given that I can feel that I study in an environment that does not stultify my political expression, it is not as strong as you believe it to be. I’ll offer a caveat: I also believe that if I do not allow my political views to be challenged, and indeed if I do not review and challenge them myself, I am not an ‘activist’ but a ‘fanatic’. I am interested that you cite Steven Pinker’s assertion that ‘humans are hard-wired for rule-based grammar’. I must mention in passing that one of the most influential scholars and writers on linguistics is Noam Chomsky, who, despite his field, remains a staunch anarchist. ‘Hard-wired’ we may be for rule-based grammar, but that does not mean we are all hard-wired for the same grammar. If I am speaking English I might say “Are you coming or not?” whereas in Cantonese I would say “You come no come”. Even within English grammar rules vary. When someone tells me “You gots to fill in boxes one thru eight”, his grammar isn’t ‘wrong’, it simply has a different structure. This is mainly because of a social and geographic context. Languages and their usages do differ according to the discourse in play. Also, to pretend that there is not what a semiotician might call a ‘dominant code’ or a ‘hegemonic code’ which governs meaning before we even reach for a word, would be disingenuous. Wayman argues for ‘an academic movement promoting clarity of expression’, and you fall in behind him. I ask how you are going to achieve this. What social manipulation are you going to use? Because right now we could do with less of that, not more. If we are going to achieve any such thing – and let’s keep our feet on the ground here, we are, as I said, in a minor discourse – it is going to have to be a ground-level-upwards movement. Rather than a tinkering by a committed cadre of activists such as, perhaps, you and Wayman marching ahead with a banner and calling “Follow us, comrades, to the bright future!”, it needs people like me to write essays, dissertations, and theses with clarity. It needs to happen naturally. It cannot be the product of a deliberately enforced, new orthodoxy. What is concluded by your article runs into that danger. Of course, I do thank you for helping to raise awareness of the issue, and for giving me some digestable food for thought. George E Marcus, ‘Ethnography through thick and thin’, 1998, Princeton University Press, p.184. If I Google “I am a postmodernist”, the best I can come up with is someone’s Facebook page, which hardly counts. If I knew your name I would thank you personally for your thoughtful, learned reply. You raise many fascinating, pertinent points. Keep in mind that my essay distills down to about 2,000 words an essay of Tom’s that is 18,000 words. If you can order yourself a copy from Canadian Poetry at the University of Western Ontario, I urge you to do so; it’s well worth the read. I don’t know how it is in the UK, but in discussing the matter with Tom, who has taught extensively in Canadian colleges and universities, postmodernism has been the preferred, even prescribed, mode of teaching in contemporary creative writing classes. This may be a primarily Canadian phenomenon, since I can’t claim any experience of the British educational system, as you have. There’s been a tendency to see it as the historical successor to earlier modes of literature such as Romanticism and modernism, as if literature marched in a straight line into the future, or was built on empirically like science, where earlier theories must be refuted as new evidence comes to light. I tend to view literature in a more organic light, as something that progresses elliptically or in great cycles that draw a little from each prior movement while attaining their own unique shape and characteristics. In addition, audience needs change from generation to generation, further affecting the shaping of literature, at least by those writers who care about audience. As to the anti-liberal agenda, I would put nothing past them. It’s well known that the CIA have as low priority projects in the past the influencing of university curricula. Again, this may be more a North American than a British phenomenon. I think the creative intelligentsia have been surprisingly naive on this point. There’s a reason conservative elites put up millions to fund think tanks, because they know that changing the framing changes the debate. So it’s not a great leap to see that influence creeping into universities, for example by convincing governments to de-fund faculties and then replacing that with corporate funding, which of course, always comes with strings attached. This has for example very negatively influenced our forestry faculties in Canada, providing students with a strongly pro-forest industry indoctrination. As to the subtle ideological/political agenda at work in postmodernism, here we get to the use of semiotics to imply that all language is biased and unreliable therefore we cannot trust it, therefore why bother taking any political position on anything when nothing can truly be substantiated? I find this way of thinking deeply pernicious and find it impossible to deny the effect it has had on poetry in particular in North America during the past 50 years. An article in The American Poetry Review (March/April 2016) by Eleanor Wilner makes the point that political poetry has been consistently disparaged by the academies as unprofessional or even unworthy of the name “literary” during that historical period. This is now changing, Wilner notes, and in fact she calls it the “poetry of engagement,” arguing that that view of political poetry was predicated on privileged elites having the luxury of such an esoteric viewpoint. If you were Black or Hispanic in America during these past 50 years you certainly didn’t have the luxury of claiming that political poetry was passé or irrelevant. Lacking access to the literary mainstream, Black of Hispanic poets turned to other outlets, such as rap music, just as I argue that the protest singers of the 1960s stepped in to fill the gap vacated by literary poets. At a recent writers’ conference I hosted, distinguished Canadian scholar J. Edward Chamberlin noted that when he asked his classes how many poems they could recite line for line, most students could barely think of one. When he asked them how many popular songs they could recite, they averaged about 100. That tells you all you need to know about just who has been the relevant political voice in popular art during the past half-century, and I have no doubt it’s the postmodernists we have to thank for that. Oops, sorry Paul Thompson, you did give your name. And thank you again! Incidentally Paul I wanted to add that I agree with you what we need now is not more social manipulation, though you can be sure it’s still going on in the battle of the think tanks both left and right here in North America. You’re right that a literary movement needs to be organic in nature, and I don’t think Tom or I see ourselves as leading anyone behind any particular banner. As he wrote, clarity of expression is a basic watchword that really ought to apply to anyone hoping to communicate through writing. It doesn’t necessarily imply a lack of artfulness. For me it comes down to, is my writing pointing a big neon sign at me, as in, “Look at me, look how clever I am at manipulating language,” or does it simply use language as a vehicle to simulate beauty, stimulate discussion, or advocate for a better world. In that respect I’m in Orwell’s camp. Probably that makes me a retro-Romantic but I resent the fact that this automatically discounts me as relevant in the eyes of some academics. I say, time for a New Romanticism for the 21st century! I would say that the last thing either artistic creation OR criticism need is to be agenda-driven. If you prescribe one aspect of expression, e.g. the political, you in fact proscribe others. Even though I adopt a feet-on-the-ground attitude to my own literary criticism, I am not arrogant enough to assume that this is a criterion for everyone else. It’s simply how I like to do it. I feel it’s a valuable and valid attitude, but I am not some kind of latter-day prophet denouncing other approaches. There must be no interdict on critical theory or artistic expression. To say that a poet, for example, *should* engage politically is a short step from saying that he *must*. That is the kind of mind-set that led the Nazis to condemn ‘degenerate art’ and the Bolsheviks to insist on a kind of hero-proletarian realism. To denounce someone for being ‘clever’ in ‘manipulating language’ is dangerously wrong. The fact that they are free to do so is a guarantee that you, or anyone else, are free to engage politically. Once you fetter them, you fetter yourself, you privilege yourself, you set up not freedom but a new hegemony. You repeat the mistake of Bolshevism, which was the daft notion that the problem of power would disappear once they had seized it. I don’t know in what academic circles they actively ‘teach’ that postmodernism is some kind of historical progression in a linear development of art or literature. If any of my tutors tried to make such a facile point I would challenge them straight out. To teach this linear model is to ignore the warp and weft of literature, and to ignore the popular in favour of the canonical. In my experience, academia has, in recent decades, tended to favour introducing the question of the place of popular literature, and the breaking down of the Chinese walls that privilege the canonical. The modernist corpus and the postmodernist corpus are both very small compared to the bulk of popular writing. Whilst I am going to be studying the likes of Eliot, Joyce, and Woolf, I am aware that they are, if you like, the foam on the ocean waves, whilst the underlying green swell of popular literature continued. The likes of Joyce’s ‘Dubliners’ questioned the whole idea of a story having a resolution, but short stories with endings have gone on being written. The ‘this-that-and-the-other’ of postmodernism happened whilst pulp fiction, Star-Trek novels, and more recently graphic novels proliferated. For that very reason I like the poetry of Frank O’Hara, who had a love for both highbrow AND popular culture, and showed that both could be enjoyed with equal relish. It’s also why my planned research project for 2017/18 is into lesbian pulp fiction from 1950 to 1965. I am aware that the major modules I will be studying at Edinburgh deal specifically with ‘canonical’ works, both modernist and postmodernist; this should be regarded as a specialism, not an overall value judgment. My realisation of this is part of my feet-on-the-ground attitude. Incidentally, there are two items of poetry that I can quote by heart. The first is the opening of Chaucer’s ‘Canterbury Tales’, and the second is the original version of John Cooper Clarke’s ‘I Married A Monster From Outer Space’. I don’t know what that says about me. No, I meant what I said. As I sat there watching that postmodern film loop, it was an empty experience that said nothing to me, then or since. Of course there’s room for a lot of latitude in art; artists can do what they want. But as a mode of political discourse or deep engagement I find it empty. Now, I said ‘memory’ there, but by that I did not mean retrospection. Memory happens in our present experience, in our present thought processes. Will you nill you, it will have been happening while you watched the film loop. The conscious decision to label it ’empty’ absolutely must be/have been an ‘a posteriori’ rationalisation, even if it was made within a spilt instant of those wee grenades going off. The almost-instantaneousness impression of emptiness will have convinced you that it was immediate, whereas it was in fact mediated by your thought process. I’m only an autodidact, by the way. I do not have the academic background your correspondent above does. So I guess you can regard my dismissal of your account of your reaction to the loop as arrogance. I won’t mind that. Stick to what you say and we’ll agree to differ. Well, Paul, that’s quite a leap to suggest I might be falling into the trap of fascists and Nazis and an implication I rather resent since I am the furthest thing from either ideology. I have advocated and written for social justice all my life. In fact, I’m trying to point out that academia is no stranger to orthodoxy, however mightily it may claim otherwise. And in exercising any orthodoxy, there will always be those who are “in” and those who are “out.” Literary orthodoxies tend to be more subtle than the political ones but they exist nonetheless. Just try getting a poem published in an academic journal if they think it has even a whiff of Romanticism these days. The decision has been made: Romanticism is passé, irrelevant to our day. Thus no matter how well written or crafted, its underlying esthetic is condemned. How is that any different from what you accuse me of? I intended my remark to be provocative, to sound a warning. I didn’t mean it to cause offence, so if it has I apologise. Marie: I did say earlier, art is a wide open field and artists are free to do what they want. That doesn’t mean they can expect everyone to love what they do. I’ve noticed a mighty defensiveness in my discussions with proponents of postmodernism, similar to what I’ve noticed in people who are religious fundamentalists, as in, “How dare you question me?” And here I was hoping that true intellectual discourse could brook at least some dissent! It’s true, like yourself, I’m an autodidact and not a trained academic, so I have only that to rely upon along with many decades of dedicated personal study of art and poetry. I don’t claim to be any authority, just someone advocating for a boots-on-the-ground reality check from time to time. If one must have a degree in semiotics to even begin to comprehend a work of art, then necessarily that will limit its appeal to a much smaller audience trained in those areas. One shouldn’t be surprised if to most readers, it remains baffling, or as I feel, too often empty. Cloaking that response in “confirmation bias” or whatever other rationale you choose doesn’t change the reality of my reaction to that kind of art. Perhaps what I seek in art is a more visceral, emotional response that isn’t filtered through many layers of intellectualization. Funny – Millie Ho said my poetry is ‘visceral’. Anyhow, this has all been very stimulating. I shall keep an eye on your blog. Paul: I appreciate your wide-ranging insights and commentary; no offence taken. Just to be clear my sensibilities are not prescriptive or in any way totalitarian. I would describe myself as mid- to far-Left. But I am very passionate, as you can see! So that sometimes gets misinterpreted. I do appreciate what you are saying, and I’m probably even further to the left than you in personal opinion. I would categorise your attitude as instrumentalist, which in literary terms tends to privilege didactic, purpose-led writing. I feel you’re probably more prescriptive than you think, but then we all probably are. If we could wave a magic wand and have everyone think as we do, we would wave it. Although instrumentalism has given us some great literature (I’m thinking of George Orwell in particular) it is an approach not without its dangers.